I was fortunate enough to attend the Early Childhood Australia National Conference over the weekend as a presenter and speaker. The sector is getting better at telling our own stories. Evidence for the first point can be found in even the shortest look through my Twitter timeline. When looking at the second point however, the evidence is worth considering a little closer. The first presentation I took part in was with the excellent Leanne Gibbs and Lisa Bryant on using old and new media to undertake advocacy for the sector. Over the last few years we have each in our own way used social media, particularly Twitter, to connect with fellow ECEC professionals and promote advocacy work. The community of ECEC professionals on Twitter is small, and during the presentation we discussed our thoughts on why this was so. We encouraged those present to share the photo taken above, to see how far an advocacy message could spread in 90 minutes. 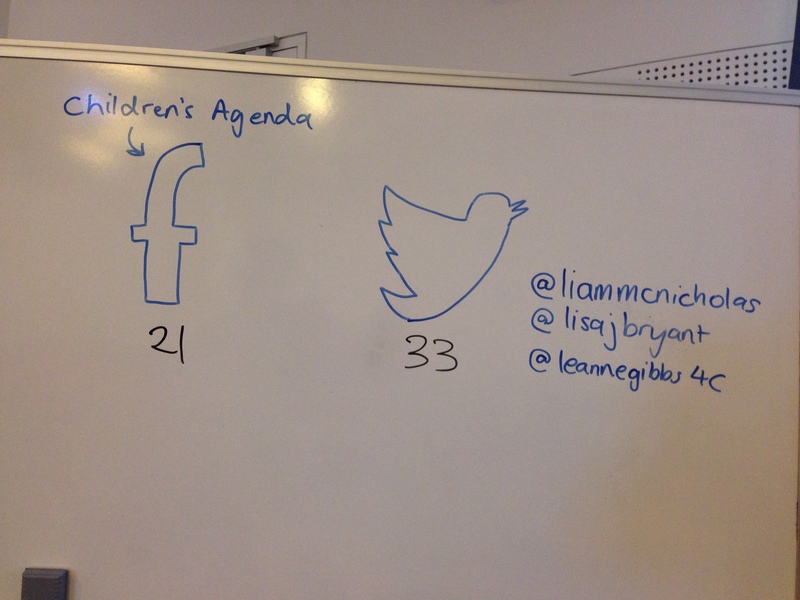 It was a fun little exercise, and we ended up with a pretty good tally which you can see below! What happened with this activity after the session ended up being far more interesting though. It was clear that a number of people from the session had actually signed up onto Twitter, and were sending out their very first tweets! Over the next two days I was able to connect with a group of professionals who I would not otherwise have been able to continue the conversation with. 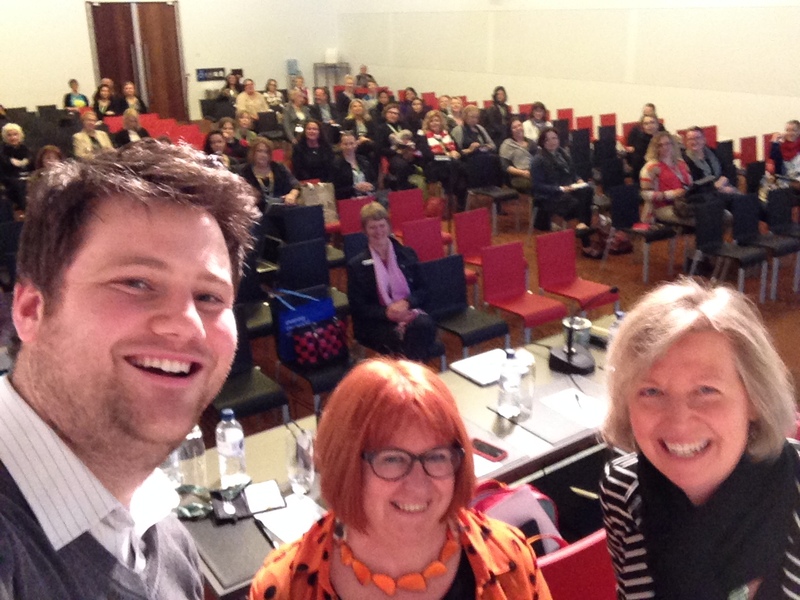 Early Childhood Australia did a magnificent job of promoting the usage of social media during the conference, with the hashtag #eca2014 grouping together all the thoughts, notes and discussions that were taking place. A message I am always trying to share is the importance of being active in public forums such as Twitter – if we are not telling our stories, they will be told for us. This message is more important than ever given that the decisions made in 2014 will affect the ECEC sector for years to come. 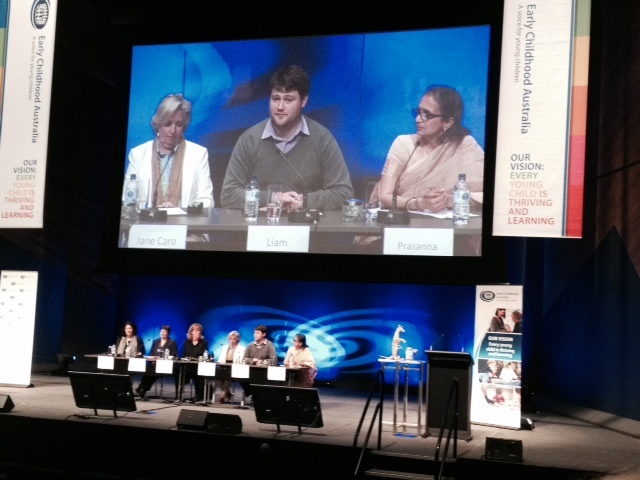 On Sunday I took part in a fantastic panel discussion on child rights, and how we can move this discussion forward in the ECEC sector. Given the importance of this topic, it is a perfect example of the need for professionals in the sector to be taking the lead. During one of my answers, I quoted the shocking statistics from ARACY that an Indigenous child in Australia is 7 times more likely to be in out-of-home care, and is 10 times more likely to be detained in a jail or detention facility. These statistics are incredible – and we have a responsibility to know them, and respond to them in our work. An active voice of educators and professionals expressing their anger about those stats would be a powerful thing to behold. The first five years are critical for every child, and this is the space we work in. We may have doubts or concerns about sharing our voices, but I hope that the powerful stories shared on those 4 days by all the speakers and presenters encourage others to step forward and speak – even if it’s just their first tweet!